Last year we decided to strip the old varnish off all the wood on the boat. However, the decision about what type of finish to use was one that took some time. 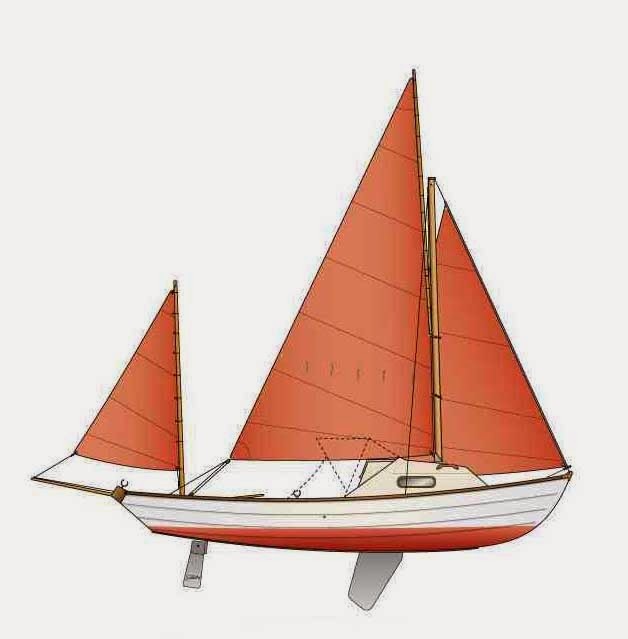 Reading various reviews, Deks Olje seems to be one of those "Marmite" products - you either love it or hate it, but did seem to provide a quality solution to protecting and enhancing the small amounts of wood that are on the boat. Deks Olje comes in two parts: D1 which is an oil and D2 which is similar to varnish. Both products are very "fluid" and run very easily, so keeping a rag to hand to wipe any drips is very important, as I was to find out. The varnish dries very hard and is difficult to remove once dry. Over the year the woodwork has worn very well and have been very impressed with the product. The finish seems very hard wearing, which is ideal for the gunwales and it also gives a high gloss. To keep things looking good, I recently used some wet n dry paper to give a good key and then rubbed in some of the D1 oil. Letting this dry for a day, I then gave two coats of the D2 to finish. There seems no reason to do any more work on the gunwales. 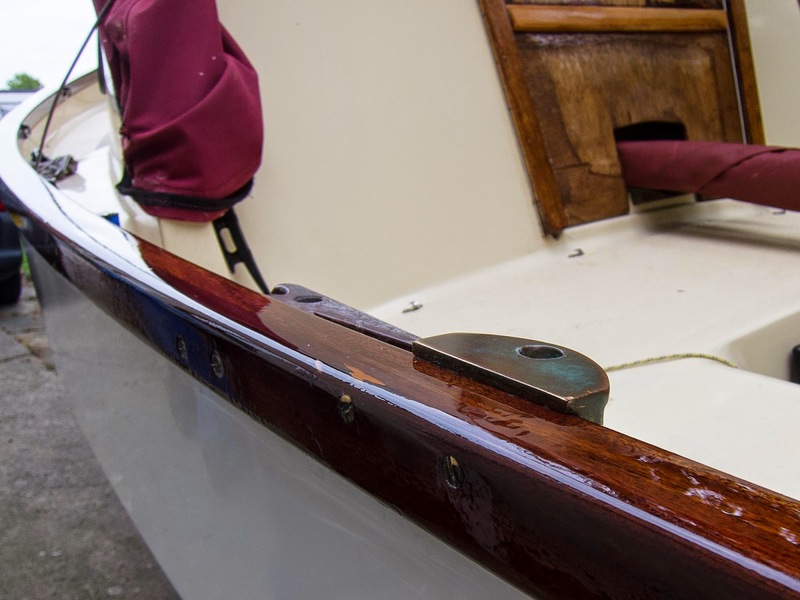 Some say that a gloss finish can become slippery when wet but I have not found this a problem on the gunwales. The wood grating in the cockpit floor has been treated just with the D1 oil, this being reapplied once during the year. The one area that that has been cause for concern, is the floorboard just inside the cabin doorway. This can become wet and I have felt the potential for a slip as I step down into the cabin and perhaps some non slip material here may be useful. The top of the centreboard case does have an area of non slip material on it and this has proved to be essential at times. Once the season is over the spars and oars will need some attention. These only received a light sanding and a couple of coats of varnish last winter, with some areas which were worn having some additional coats. Perhaps more thought and effort will need to be applied to these.